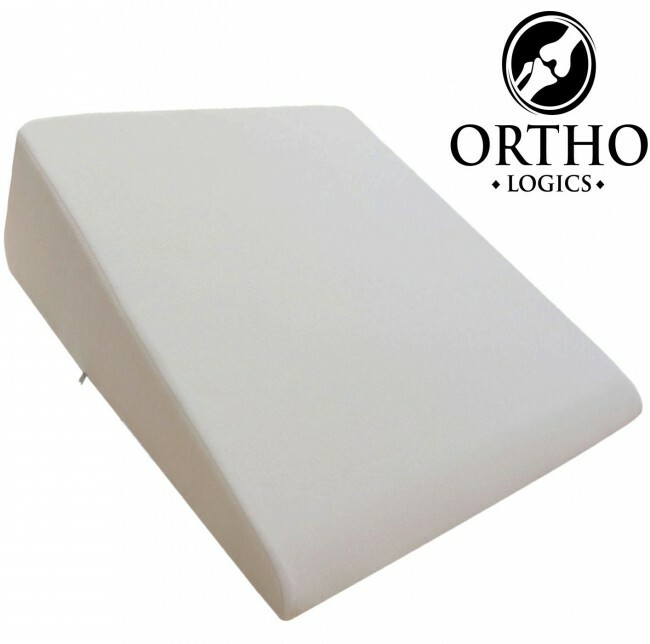 The Orthologics LARGE Bed Wedge Pillow cushion brings new heights of unparalleled comfort and relaxation to your everyday life. 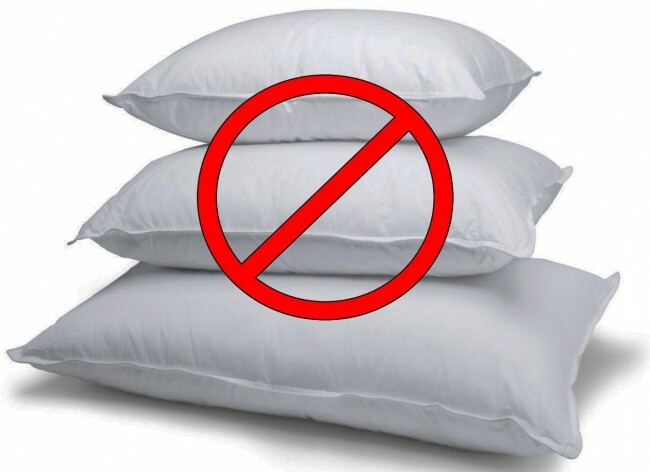 Additionally the Wedge aids with Respiratory Illnesses the purpose made elevation assists to drain sinuses and keep airways open. 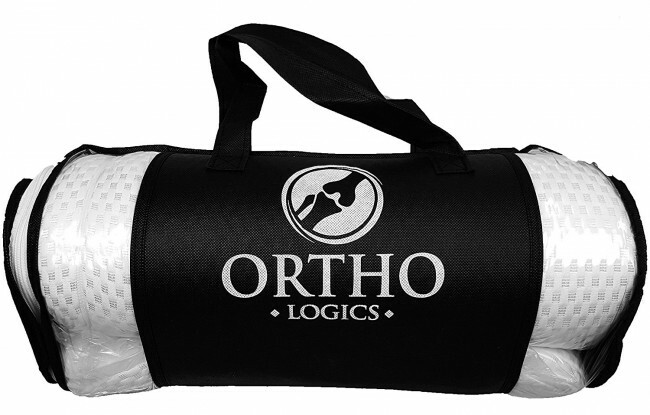 The back rest helps aid proper alignment and relaxes your back muscles to put you at ease. The Extra Large Wedge is extremely sturdy and big, designed for all sizes and heights. 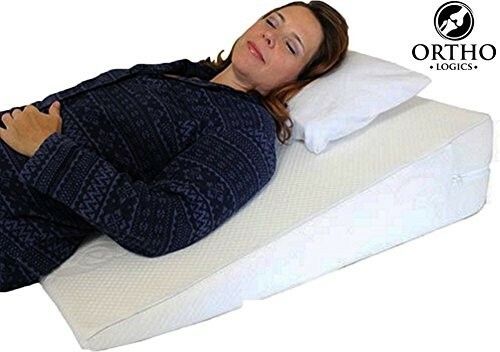 The Elevated Wedge Pillow is Designed from long lasting memory foam which moulds to your body's natural contour for a perfect custom fit. 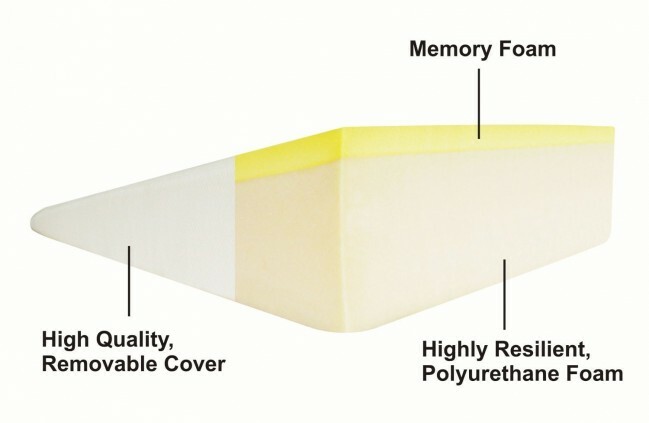 Note: The Wedge is compressed for shipping, Please allow up to an Hour for the Memory foam to Gain it's final shape.